Stockton’s Globe Theatre has taken a huge step towards becoming a major live music and comedy venue once again with the announcement of a Heritage Lottery Fund (HLF) grant of £4 million to help restore the Grade II listed Art Deco building to its former glory. The announcement made on 11 October 2013 follows two years of hard work by The Jomast Group, Stockton Council and David Wilmore of Theatresearch. Work will now begin on the detail of the redevelopment plans to bring the Globe back to life. Sign up to the The Globe e-newsletter mailing list. 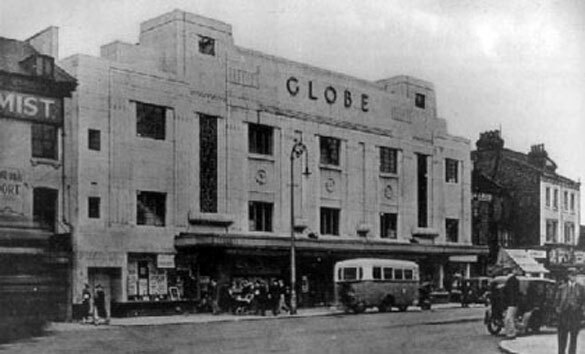 History : The original Globe Theatre was built in 1913 and was Teesside's first purpose-built cinema. Demolished in 1925, it was first rebuilt in 1926, when it showed the area's first 'talkies'. It was rebuilt again, still on the same site, in 1935 designed as a leading variety theatre but also including cinema facilities and seating 2,372 people. The Globe regularly hosted stage shows with national companies. In 1938, it became an ABC cinema but live performances continued including an annual pantomime, ballet and West End shows. In 1997 the Globe closed and remains so whilst ambitious plans for it's redevelopment are underway. In April 2013 the building was carefully 'wrapped' to protect it as the final stages of a bid to the Heritage Enterprise Fund were put together to bring about a new beginning for this iconic building. 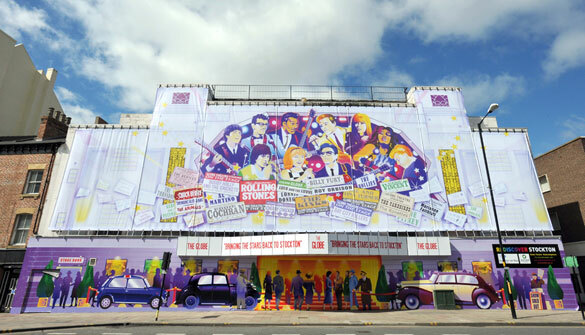 In addition to The Beatles and The Rolling Stones, The Globe has hosted stars such as Cliff Richard, The Shadows and Lonnie Donegan, who made their acting debuts here in pantomime. The Beatles famously played at the Globe on Friday 22 November 1963, the day President Kennedy was assassinated and, as late as the 1970s, bands such as Mud, Showaddywaddy and The Bay City Rollers played here. Cliff Richard and the Shadows composed their 'Stars Fell on Stockton' (B-side to 'Wonderful Land') here and much of the music for the Cliff Richard movie 'Summer Holiday' whilst taking part in pantomime at The Globe. As a youngster, Shadows band member Bruce Welch used to help on his grandmother's Stockton market stall.